Professional installation of your project. Large remodeling projects or little jobs. All different repairs carried out quick. Courteous and experienced work staff. Get a no-cost job estimate. Convenient and flexible. Good outcomes are guaranteed. Working on a remodeling or new addition job? Maybe you have an older wall or ceiling or two that doesn’t look so good. You want to get them patched or fixed so you can get them repainted. 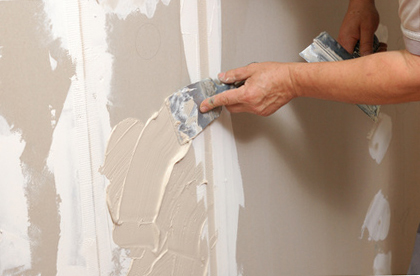 Experienced pros put up and repair walls and ceilings in houses and commercial properties. If you want to have repairs done, they can get started doing that. But they also work with brand new houses and building projects. Maintenance assignments may include patching a hole or two, swapping parts of sheetrock, or a combination of the two. They commonly work with homeowners who are working on renovating projects. They can also undertake new construction jobs for contractors. 1. The order of drywall sheets is delivered to the job site. 3. The project trash and unneeded material is hauled away, and the work area is cleaned up. 4. The joint seams between sheets and the anchoring screws are taped and covered up with joint compound. Once the new walls and ceiling are finished and dry, and the final cleanup has finished, you are able to commence the painting. Many homeowners have them complete the total job, from beginning to end, but some have them just complete a few of these jobs. As an example, it’s possible that a property owner isn’t intending on painting the ceiling or walls soon, so they have them forget about the final finishing and texture application steps. Sometimes a property manager already has sheetrock up on the walls, they are seeking somebody to complete the rest of the job. So sometimes they call. Besides typical drywall, they can also bring and install moisture resistant boards for use in bathrooms or around sinks. Plus they put in the right type of cement board for walls where you will be attaching ceramic tile. Sometimes a hole or dent occurs in a wall. Sometimes a kitchen drain pipe leaks. Sheetrock gets damaged in a number of ways. If your wall has just one hole in it, and that hole is in an out of the way location, you might probably repair it all by yourself by putting on a wall patch kit. Wall patches can be tricky to do correctly. A homeowner’s first try at a patch sometimes ends up resembling a small bulge when it’s all dry. A hole in a really obvious area should most likely be handled by somebody who has experience doing those kinds of patch repairs. In the finishing and texturing phase, they try to make your new walls appear just like your old walls. Repairing a single hole or trouble area. Making several aged or broken interior walls or ceiling fixed and ready for paint. Engaging in big size replacement of one room or even more. 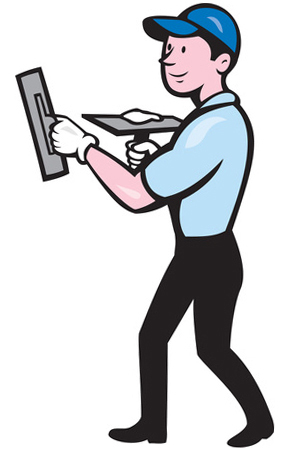 They will remedy a couple of minor problems, they can perform large replacements, or any project in between. Fully unfinished – just taped, designed for non-finished work spaces or garage areas. Smooth finish – no added texture, completely ready for painting or wallpaper. Basic texture – gives you a little more depth. Texture matching – your replacement surfaces match with your existing ones. Some people are not thrilled with popcorn ceilings textures. You can change it out with a new, modern finish. This company works on residential and commercial jobs around much or south King County. Their goal is to give homeowners sensibly priced and good-quality interior renovation work. They have the best tools and gear to the job to get your project done quickly and done right. And they use just the top materials for your job, so they will withstand dents and be long lasting. Your crews are neat and considerate. They try their hardest to reduce the clutter and dust these projects can produce. These work teams bag up and carry out the rubbish the project generated. Any excess materials you don’t want to keep is hauled away too. They have experience working at all kinds of projects. They work at individual homes, apartment buildings and industrial buildings, doing final repairs or renovations. They are not the only company in town who can undertake your upcoming project. But they hope you might consider them to do the job. If you’re wondering what your job will cost, they can come up with an estimate for you. The final price is mostly determined by how much material is used and how long it takes to put up and finish it. They want to provide you with a sensible estimate. It’s actually best to speak with you on the phone for a minute. They will work to get your new walls and ceiling painted too. They could do that if you’d like them to. A number of homeowners choose to use a different contractor do the painting. And some homeowners want to take on the painting work themselves. Do They Work In Your Washington Neighborhood? Your property won’t be the first job they work on around south Seattle. Call if your property is near Renton or the 98055, 98059, 98056, 98058 or 98057 zip codes. They work on homes and businesses all around south Seattle and Renton. This includes the 98055, 98059, 98058, 98056 and 98057 zip codes.